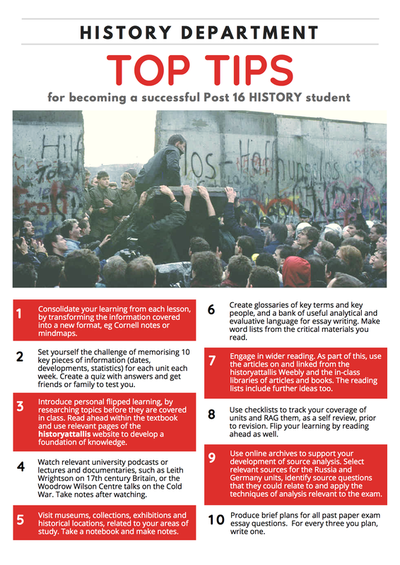 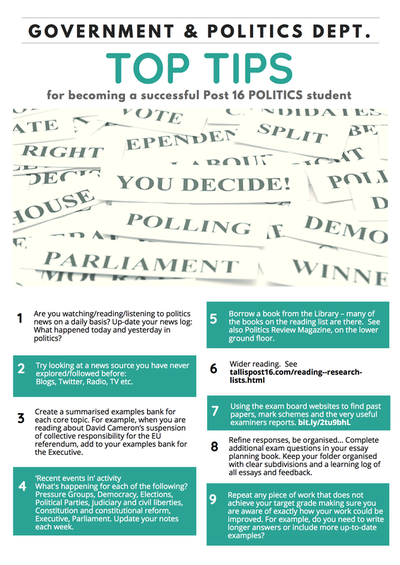 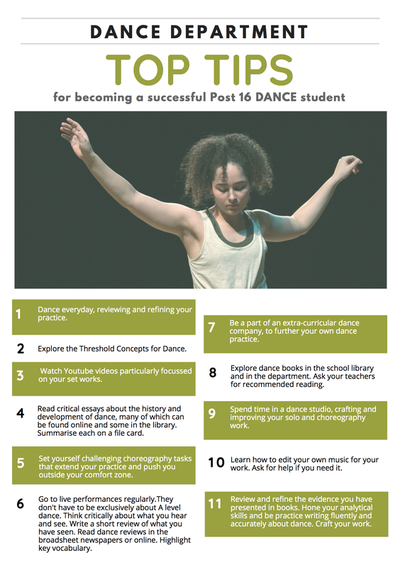 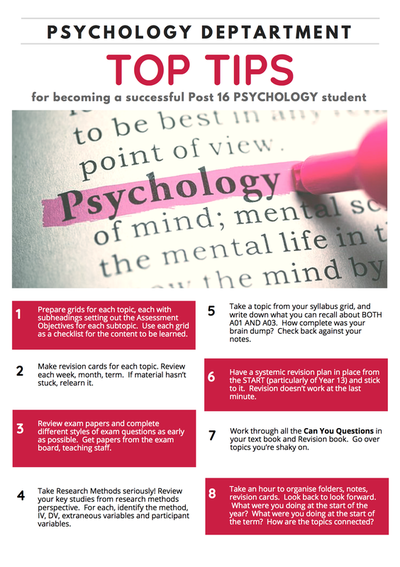 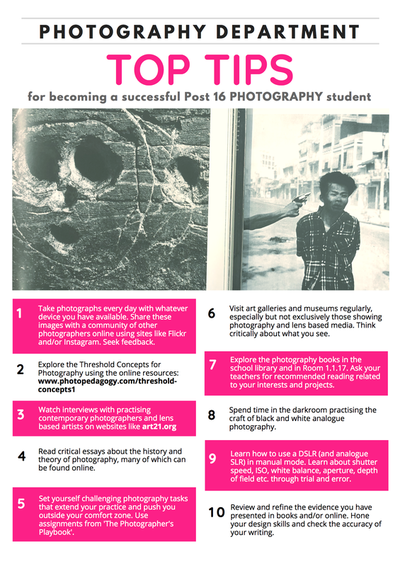 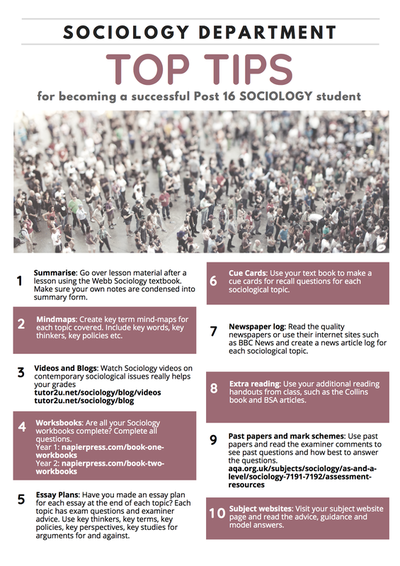 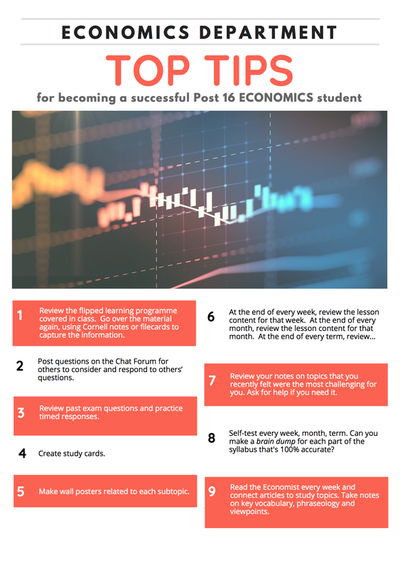 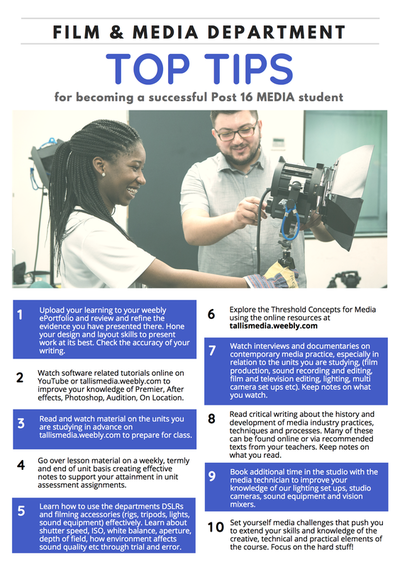 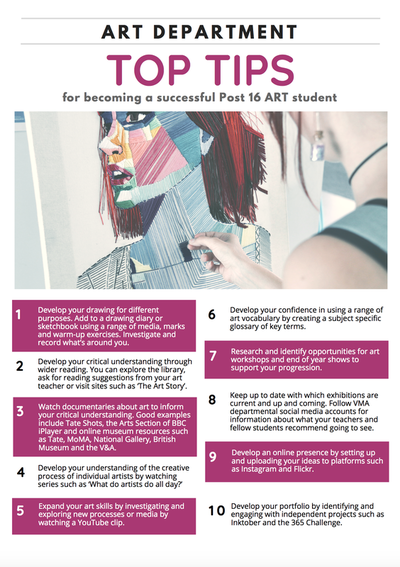 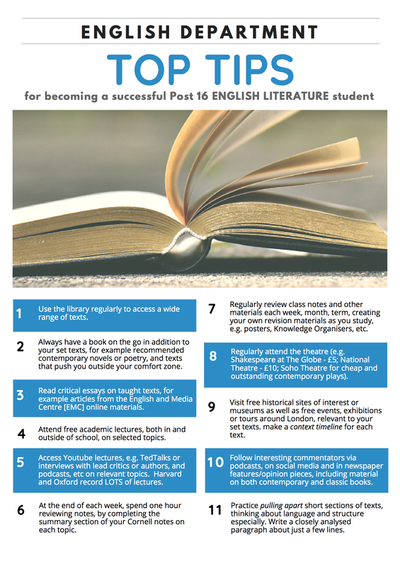 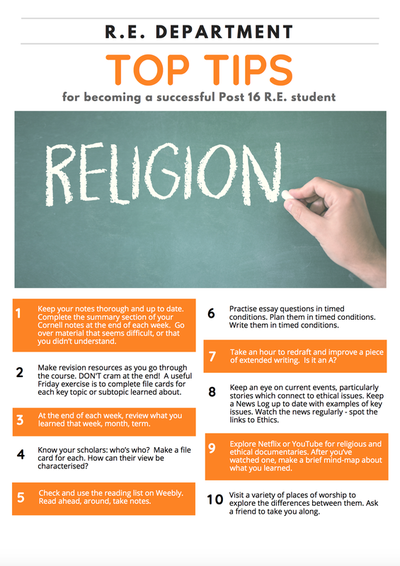 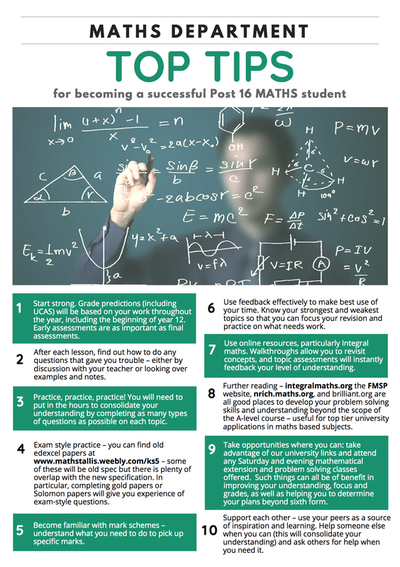 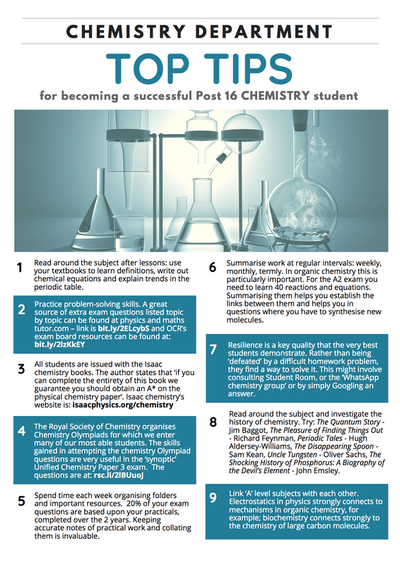 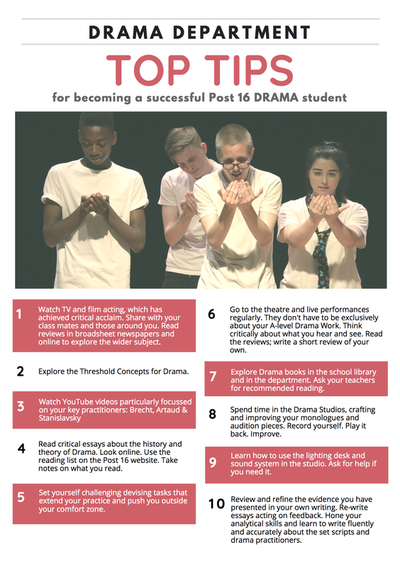 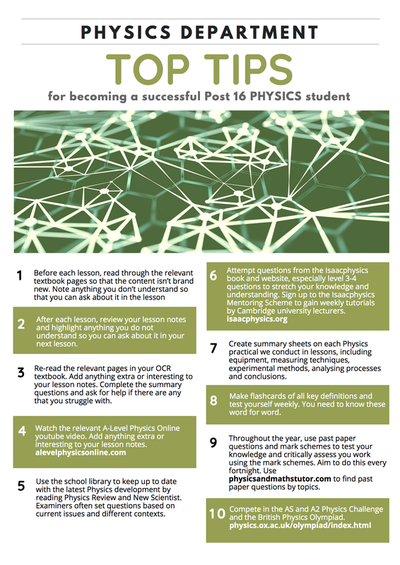 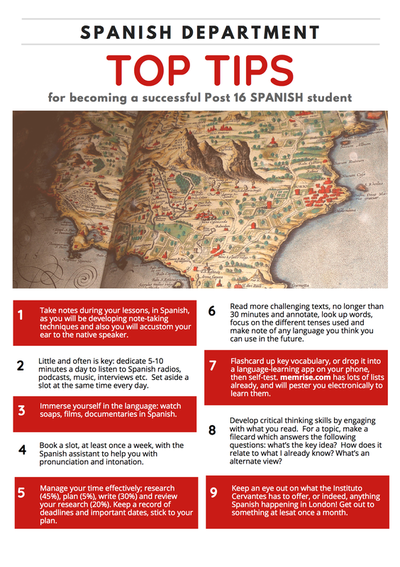 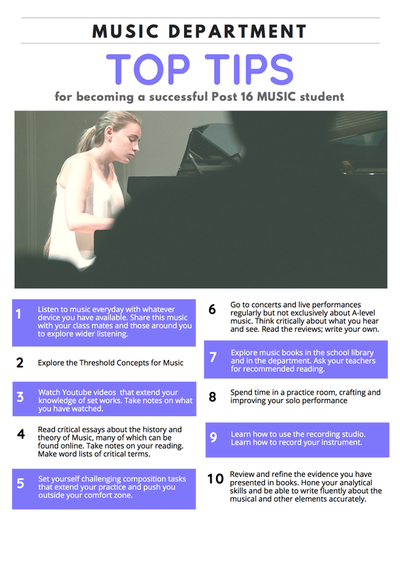 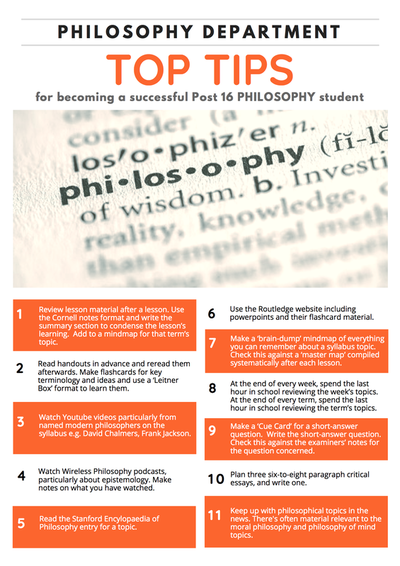 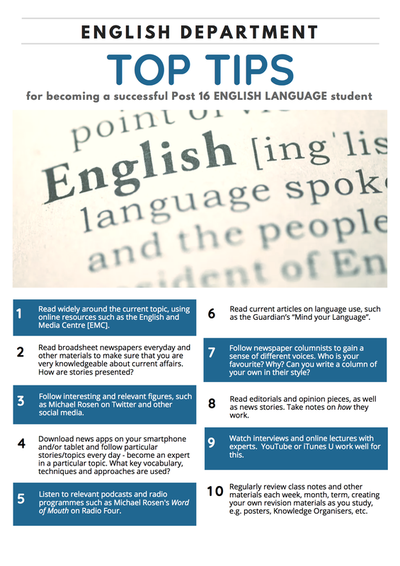 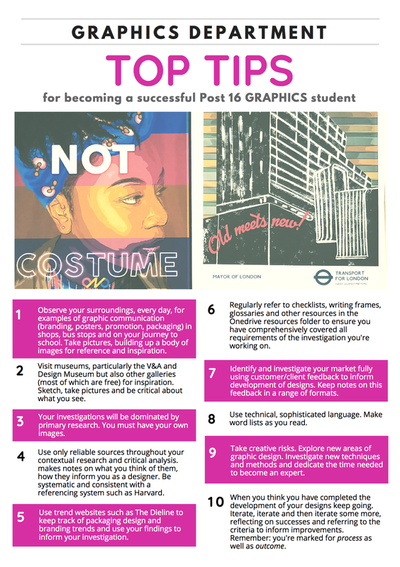 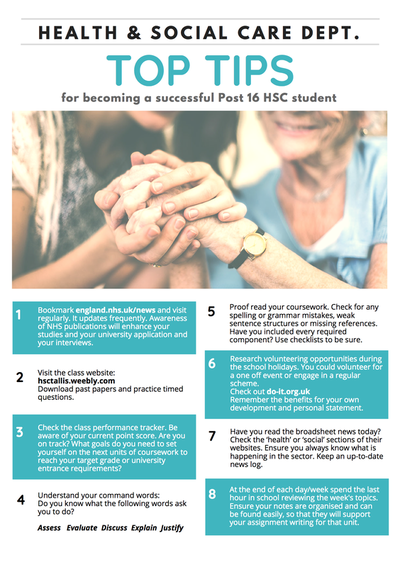 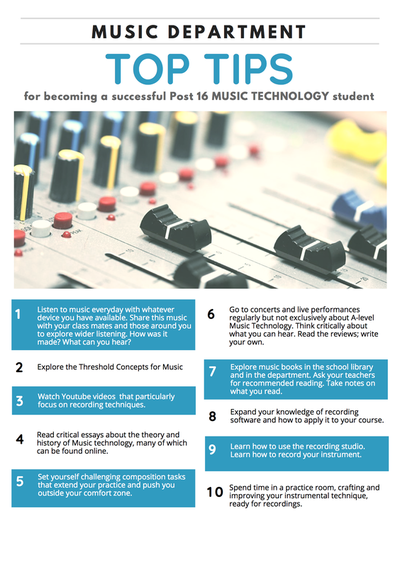 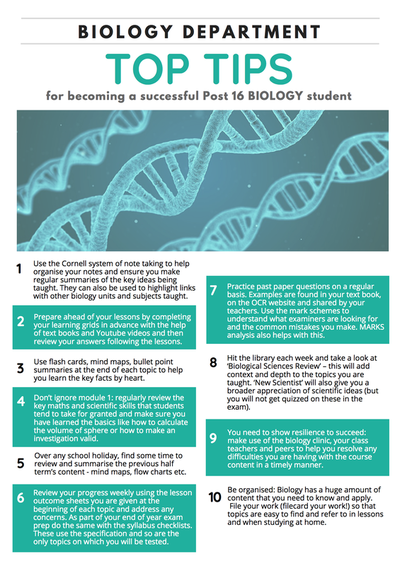 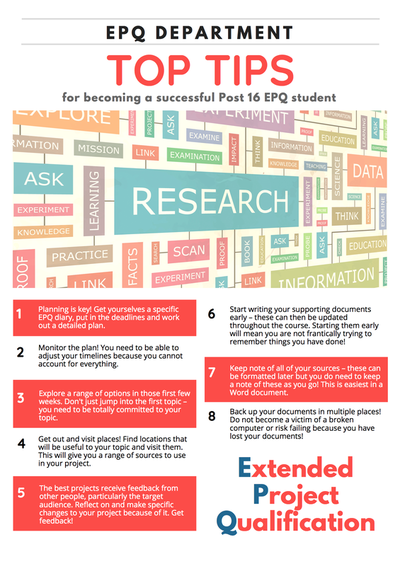 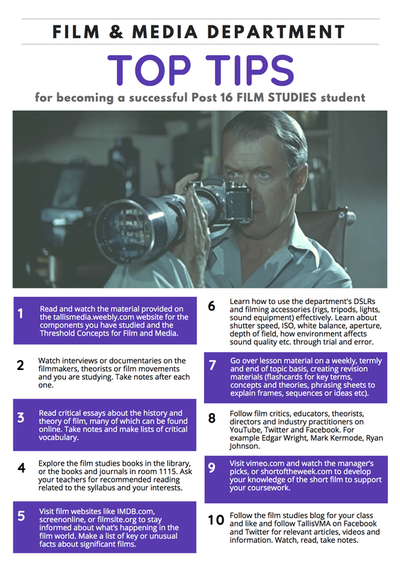 These posters are designed to support you in becoming a confident, independent Post 16 student. 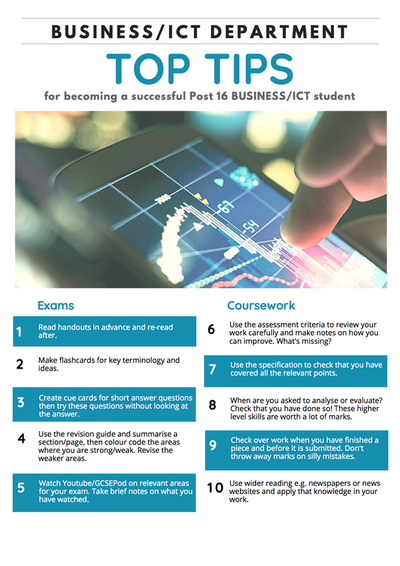 We have identified key performance indicators for each of the subjects we teach. 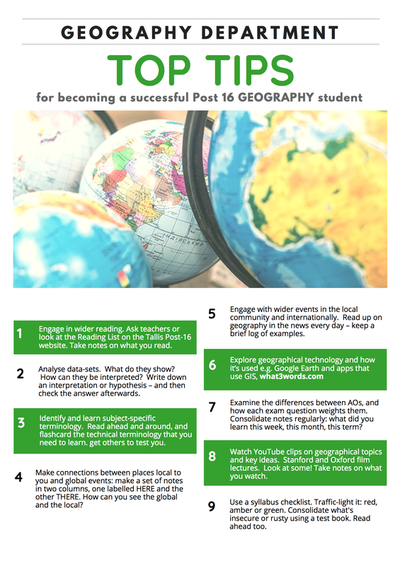 They are arranged below alphabetically by department. 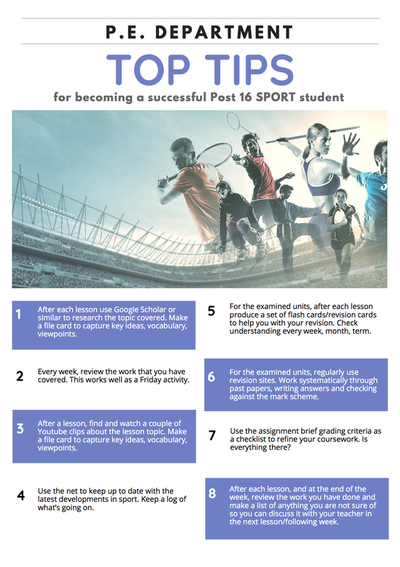 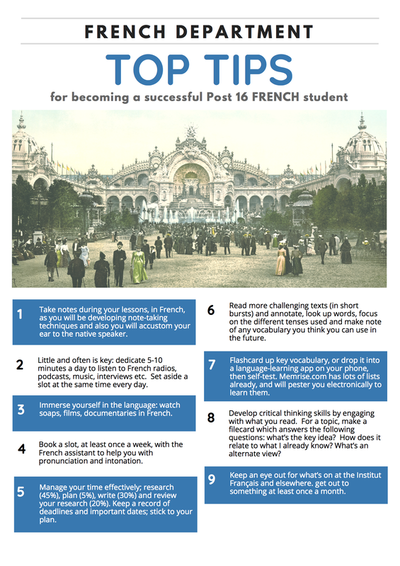 Use them to help you structure your independent study time. 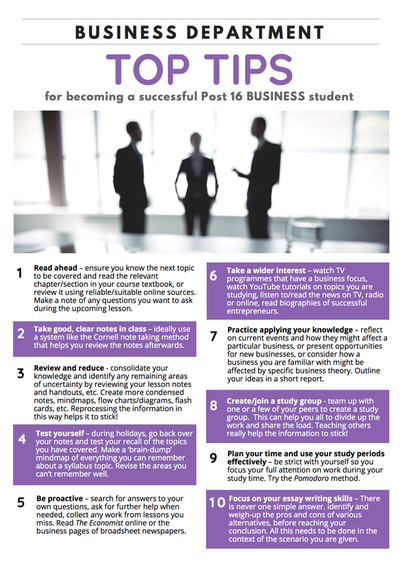 Research strongly suggests that students who manage their independent study time effectively by exploring the disciplines in which they are working, read around their subjects and organise their study material are more successful.